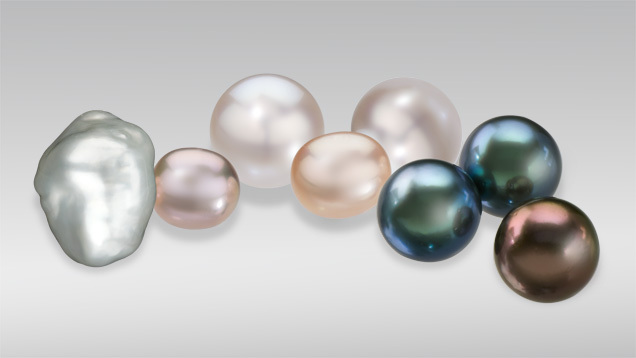 Pearls occur in a wide variety of colors. The most familiar are white and cream, but the palette of colors extends to every hue. The main color, or bodycolor, is often modified by additional colors called overtones, which are typically pink, green, purple, or blue. In jewelry, pearls are either natural or cultured. Natural pearls form around a microscopic irritant in the bodies of certain mollusks. 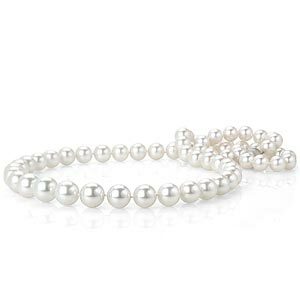 Cultured pearls are the result of the deliberate insertion of a bead or piece of tissue that the mollusk coats with nacre. There are four major types of cultured whole pearls: Akoya, South Sea, Tahitian, and Freshwater. June’s main birthstone is the pearl, but some also consider Alexandrite and Moonstone to also be birthstones for the month.